What's a few million dollars for a company that has plenty lying around? Apple claims they're being shorted as part of a judge's recent reduction in damages due from rival Samsung. CNET reported Wednesday that Apple Inc. has called into question at least part of Judge Lucy Koh's decision to reduce a $1.05 billion judgment against Samsung earlier this month. In a court filing Tuesday, Apple attorneys claim the original judgment was reduced by $85 million too much, the result of two Samsung devices which were sold within the same period already approved by the court. Should Judge Koh decide in Apple's favor, the move would raise damages owed by Samsung to $685 million instead of the lowered $600 million announced March 1. Attorneys for Apple Inc. elaborated on their claims in a motion for reconsideration filed yesterday, which could potentially raise the number of infringing products from 14 to 16. "Apple respectfully requests that the Court grant Apple leave to file a motion for reconsideration and that the Court reconsider its March 1 Order as to these two products," the court filing reads. 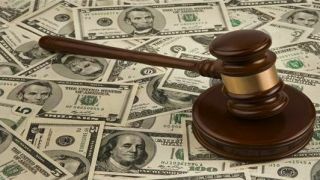 The request would reinstate a jury award of $40,494,356 for AT&T's Galaxy S2 along with a recalculation of supplemental damages for same, plus an additional $44,792,974 for the carrier's Infuse 4G smartphone. However, Judge Koh will first need to grant Samsung's own recent request for partial final judgment before Cupertino will be able to officially file its own motion.